Sybille Fleischmann and her husband, former solder and aviation mechanic Michael have embarked on the journey of their lives. 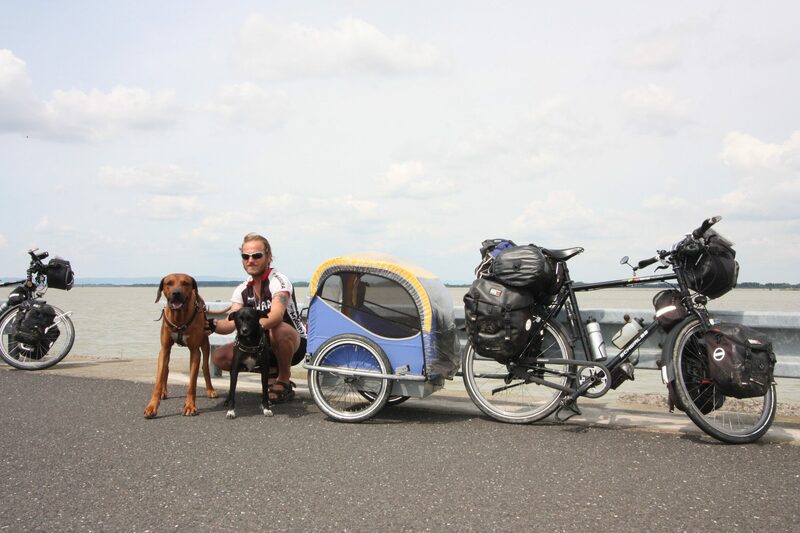 They’re still out there now, travelling across Asia to raise funds to reduce poverty. There’s one crucial difference between this and the many other worthy fund-raising causes - the dogs are joining in. Since childhood I already knew I wanted to see the world! I finished school, and my study of Social Pedagogy, and before the ink on my Diploma was even dry, I found myself accompanying Michael on our overland drive in a V.W.-van to India. Since then everything has been different. I already knew that other people are not as privileged as us. But seeing poverty, suffering and oppression with my own eyes, inspired a feeling of wanting to do something to help alleviate the burden of the poor. We were ever-vigilant of the hardships faced by the local communities we passed on our way, and we set aside a small amount of our travel budget to ease their hardships a little. Now I see that the time has come to start out on an even larger project. This time we’re taking our dogs with us.